NEW YORK—Dismissing past versions as outdated and totally ill-suited for the modern pancake breakfast, HarperCollins announced Friday that the 19th edition of Emily Post’s Etiquette would be updated to include a chapter on how to properly lick maple syrup off of your plate. “Remember, after finishing an order of flapjacks, it is polite to wait at least five seconds before lifting the plate up to your face and licking clockwise,” read the book’s newest chapter titled “Lapping Your Sweets,” which explained that the perfect diner should always keep licking noises at a minimum and never do so while they are speaking. “Of course, if you are the host or hostess, be sure to ask the guests if they would like to slurp up the syrup off your plate first before doing so yourself. 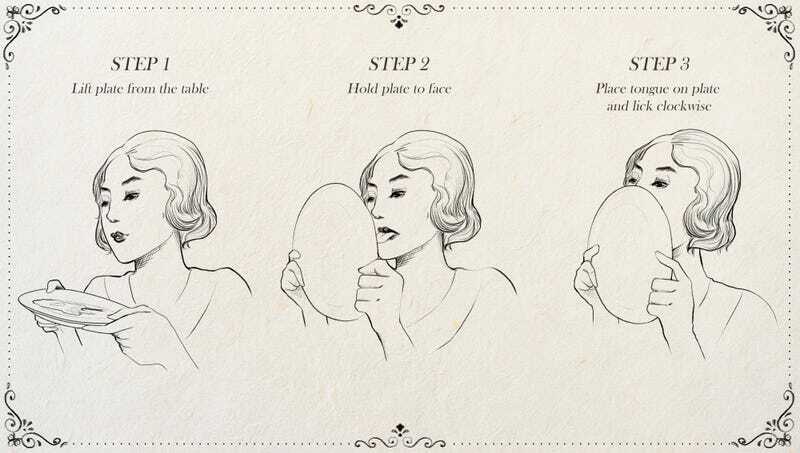 And, ladies, let us not forget: We lick the plate, but never our fingers.” While many etiquette books would shy away from the topic, HarperCollins confirmed that the new chapter would also include demonstrations on how to lick maple syrup off of the floor.